As families pack bags for road trips and rides in the sky, JetBlue is encouraging kids to pack books for their cross country adventures or even for their trips to the backyard. JetBlue just launched “Soar with Reading” a reading program with partner PBS KIDS. The program aims to keep children reading wherever they go this summer – with a combination of in-flight and online literacy resources, community reading events and a partnership with First Book, a nonprofit organization that provides new books to children in need. For every reader who registers on SoarwithReading.com, JetBlue will make a book donation to a child through First Book, up to 10,000 books. This summer, Jet Blue is also sending crewmembers out to volunteer at kid-friendly events at local libraries all across the country. These global guides will read books to children, share stories about their job and their exciting travel adventures. Child passengers will also receive activity kits on JetBlue flights as well! Additionally, the campaign will support public libraries. At SoarwithReading.com families can vote for their favorite library in the Soar with Reading Sweepstakes. The winning library will receive $10,000 worth of children’s books courtesy of Jet Blue and Random House Children’s Books. And if you enter the winning library, you will have a chance to win a trip to Atlantis! How cool is that? I love to promote reading and my Tween was just the perfect person for the job. JetBlue agreed to send us one of their activity kits to check out and see what we thought about the promotion. 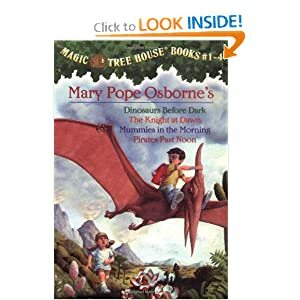 My Tween saw the String back bag and asked me what I needed help with, I just told him to see if he would like it and the first thing was “Mom, this is a “Magic tree House” Book, can I read it? Off he went and came back a few hours later to check out the rest of the things; the back bag was really cool; lightweight and even has some pockets to hold extra items like travel info and notepads; we also had an activity book inside the back bag, which was really cute and nicely done to keep the little ones entertained. 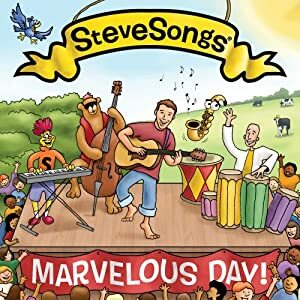 We also had a music CD from Steve Songs “Marvelous Day”, which was wonderful for the Toddler to hop along. She had a blast listening to the songs and Steve is a big HIT in our house anyways; this is a great CD and I’m super excited that JetBlue and PBS included it in the kit. I can honestly say, this is an awesome promotion that JetBlue and PBS are doing and I’m honored to be part of this in spreading the word. One lucky 2Bpys+1Girl=OneCrazyMom reader will get a chance to start reading with their little one by entering the giveaway below, one of my readers will receive a Jet Blue activity kit similar to ours. Our Back bag included the very cool JetBlue drawstring bag, a reading book, an activity booklet and a CD from Steve Songs “Marvelous Day. We received the JetBlue activity kit for our review and posting about the promotion; all opinions are 100% our own and no other compensation was nor will be received. The winner will receive the prize directly through the PR company and may vary from what we had received. My son love the Dinosaur Train books! chicka chicka boom boom is a favorite in this house! My child’s favorite book is Black Beauty. Goodnight Moon is probably one of our sons favorite books. We read it to him while I was pregnant, and every night as part of our bedtime routine! My son loves reading Diary of a Wimpy Kid. But he also loves any books that are reference, facts, etc. My son loves the Magic School Bus books. My kids are into Green Eggs and Ham by Dr. Seuss right now. My kids have tons of books… my older one likes Junie B. Jones… my younger Dr. Seuss, but they just love books (and would like more!). My son loves ‘Ain’t Gonna Paint No More’ and ‘Goodnight Moon’. My son loves Are You My Mother by PD Eastman.